When we talk about climate change with our friends, family or colleagues, we should be knowledgeable, accurate and persuasive. Here are a few facts to keep in mind. * It’s getting hotter. 2016 was the warmest years on record, followed by 2017, 2015, 2018 and 2014. NASA has stated that “the past five years are, collectively, the warmest in the modern record.” Scientists report that 2018 was the hottest year on record for our oceans. 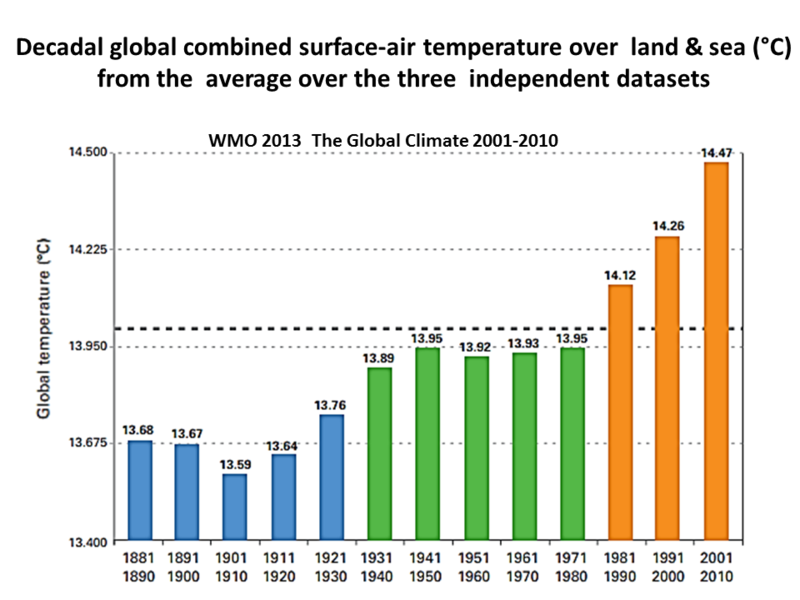 Every decade since the 1970s has been warmer than the previous decade. Our most recent decade was the warmest ever. The major climate signals all indicate that the earth is warming. * There's a strong scientific consensus that the world is warming, and that humans are a major part of the problem. The U.S. National Academy of Sciences estimates that 97% to 98% of climate scientists agree that our fossil fuel emissions are warming the planet, and that rising temperatures are putting our future at risk. * Climate change can manifest itself in a number of different ways: higher temperatures, stronger storms, coastal flooding, longer and more severe droughts, more extreme wildfires, lower stream flows, higher water temperatures, ocean acidification, changing precipitation patterns, earlier snow-melt and run-off, lower snowpack, rising sea levels, declines in forest health, insect infestations, an increase in invasive species, etc. All these aspects of our changing climate can have serious impacts on fish & game populations, and on wildlife habitat. WATCH ASTROPHYSICIST NEIL DEGRASSE TYSON EXPLAIN THE DIFFERENCE BETWEEN WEATHER AND CLIMATE CHANGE.